Fast delivery (free to the UK) in a beautifully presented gift box. All UK orders include FREE next-day* guaranteed and insured shipping. No minimum order required. 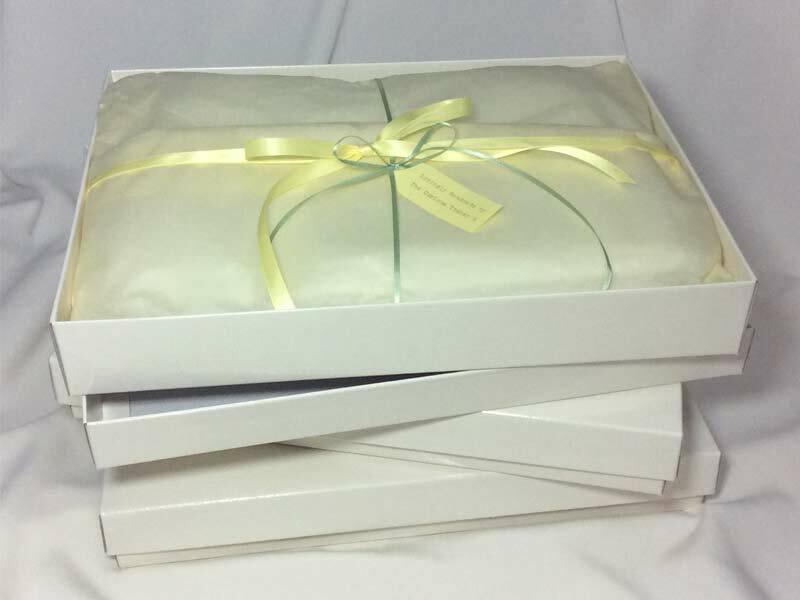 Every order also includes our gift wrapping and presentation/storage box. * Orders must be placed before midday or they will be shipped the folowing day. If you are not in the UK, don’t worry – The Curious Tinker can usually deliver to most countries in the world. If your home isn’t on the list opposite, please email me and we’ll try to accommodate your order. All international orders have an additional £15 added to ensure your garment arrives promptly and reliably. The countries that we will routinely ship to are listed below. Customs charges may apply in your country, please check policies governing your shipping address first. The Curious Tinker is not responsible for these charges. Austria, Belgium, Denmark, Finland, France, Germany, Republic of Ireland, Italy, Netherlands, Norway, Poland, Portugal, Russia, Spain, Sweden, Switzerland. United States, Canada, Australia, New Zealand.